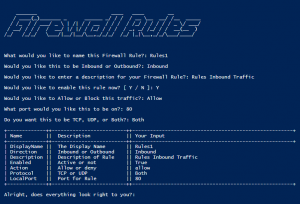 Browse: Home / FirewallRules – Simple PowerShell script to quickly add Windows Firewall Rules. 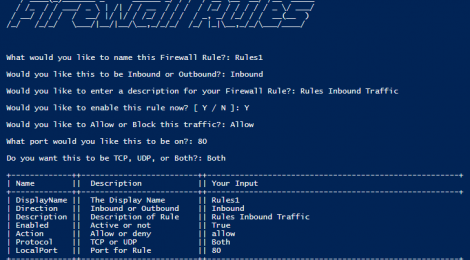 FirewallRules is a Simple PowerShell script to quickly add Windows Firewall Rules. Script must be run from an Administrator prompt otherwise you will not have sufficient permissions to implement rules. 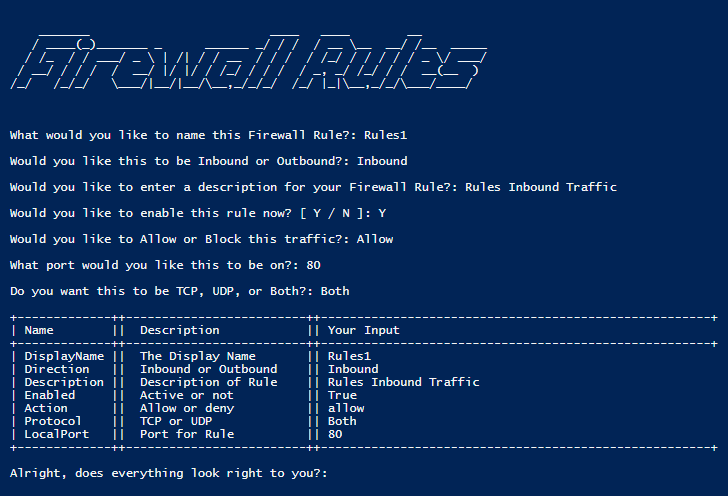 it’s solution for you to quickly grew tired of adding firewall rules through the GUI and figured this could. ← Ironsquirrel – Encrypted browser exploits delivery for the masses.